My husband bought this cd nearly six years ago when our oldest son was about to celebrate his first Christmas. 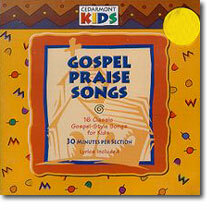 We LOVED this cd. We would play it all the time. Then one day it was distroyed – I can’t remember exactly how it happened, but I think it was stepped on and cracked in half. My husband could not remember where he bought the cd. We couldn’t find it anywhere. But thanks to the magic of the internet – we now have our cd again!! 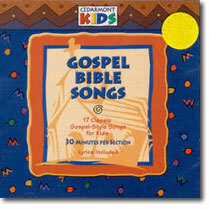 We particularly love this cd because it has all the traditional children’s Bible songs, but they aren’t all sung in a high soprano voice! These songs are full of rythum and spirit. These songs are so fun to sing along to – I think I sing louder than the kids! WeÂ highly recommend this cd – check it out at ChristianBook.com. This cd also has great songs like “Down In My Heart”, “Peace Like A River”, “Come to Jesus”, and “Every Time I Feel the Spirit”.